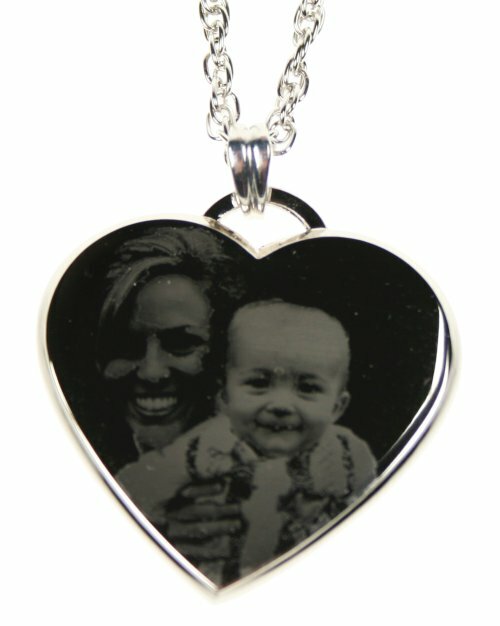 Rhodium Plated with rope chain nickel Free, Personalised photo, engraved with special message. Comes complete with gift pouch. Coloured ones can only have messages on the reverse.